Chevrolet Blazers, Chevrolet S10 Blazer and Chevy Trailblazer have had a horrible record in rollover roof crush related deaths, In fact in March of 2005, Reuters News Service declared " GM's Blazer Ranked Deadliest Car on U.S. Roadways." The Chevy Blazer not only has a tendency to roll over, but when the rollover occurs the roof pillars or roof supports seem to bend and fold down in the roof crush or roof failure. When this happens, the driver and occupants in a Blazer or Trail Blazer suffer the consequences. When the Blazer's roof collapses, the survival space for the occupants is quickly compromised. Blazer roof crush / roof collapse from a rollover can often lead to serious head and spinal cord injuries, closed head injuries, paralysis and even death. 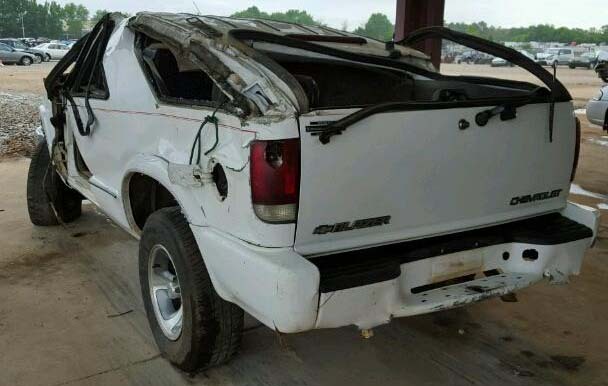 Since General Motors is aware to the tendency of the Chevy Blazer, S10 Blazers and Trailblazers to roll over; one would imagine that the engineers at GM would design a Blazer roof that supports the weight of the vehicle in a rollover accident without serious deformation. Good engineering principals would indicate that the roof pillars and roof supports would be strengthened or made thicker to prevent massive rood deformation and crush during a rollover. 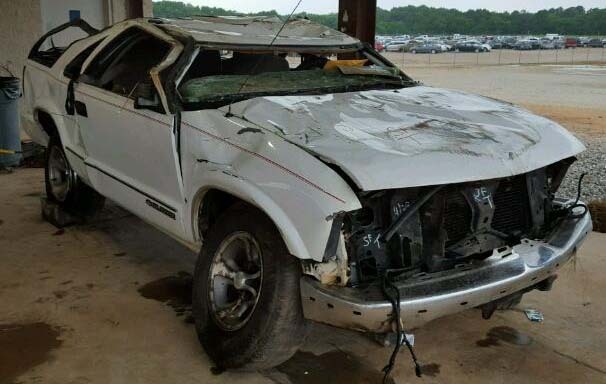 The GMC / Chevy Blazer is not equipped with a roll cage or roll bar, but rather a somewhat flimsy roof structure that often collapses during a rollover. To date, the National Highway Safety Administration (NHTSA) has not been somewhat weak on requiring stronger roofs. In fact the automakers repeatedly state that roof strength is not a key factor in preventing rollover injuries and rollover fatalities. GM and other auto makers defense to their weak roofs is that the belted occupants dive into the roof during a rollover accident. Diving accidents into the roof occur even when the occupants are properly belted. If you or a member of your family has been involved in a Chevy Blazer rollover accident with a severe roof crush, roof pillar collapse failure or any other serious accident or failure and you have questions about whether the vehicle or roof design may caused or contributed to the accident or injuries, then call us now. Mr. Willis is a Board Certified Personal Injury Attorney with over 30 years of product liability and rollover litigation experience. Call the Willis Law Firm at 1-800-883-9858 for a Free & Confidential Consultation.